Board of Directors - Welling Homeopathy | Welling Healthcare Pvt Ltd. He is a mentor, trainer and scientific advisor at Welling Clinic. A gold medalist M.D. 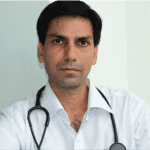 from Mumbai University, he has vast experience in successfully treating patients with varied pathologies . 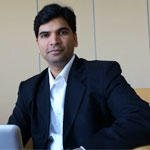 He has lectured at various medical colleges in India and abroad for under-graduate and post-graduate students and is well known for handling cases of advanced stages of Cancer. He has developed 360 degree Homeopathic Analysis and CUREplus treatment protocol, both of which have helped in offering quick, painless and permanent relief to his patients. He has authored many academic books including the latest ‘Cancer Cure through Modern Homeopathy’. His current research topic include the mode of action of Homeopathic medicines and their relationship to Genetics. She is a mentor, chief trainer & head of research at Welling Clinic. A Homeopathic product from Mumbai, she has extensive experience in consulting and advising couples with Infertility issues. She is a Classical Homeopath, extensively trained under senior Homeopaths of India and abroad, having worked with various Multi Speciality Homeopathic Clinics in Mumbai and seen over 8500 patients since her graduation 8 years back. She has been instrumental in composing the basic parameters for the popular CUREplus cancer treatment protocol which has shown immensely positive results in Cancer patients. 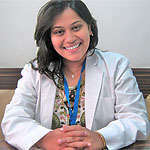 She is currently utilizing her past experience in fine tuning the CUREplus treatment protocol for Infertility patients. 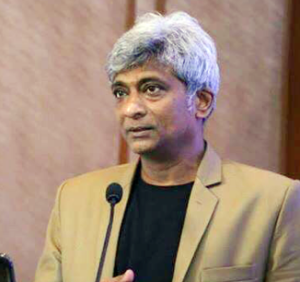 A senior Homeopathic professional with 34+ years of rich experience in homeopathy sector, including being an ex-principles of the foremost homeopathy college in India, ex-member Board of Studies, Mumbai University and MUHS. He is head of research department at Welling Homeopathy Clinics. He has over 15+ yrs practicing experience and specializes in Lifestyle disorders / Immunology and Degenerative Diseases. He is an Honorary Professor and Head of Department at Dr. D.G Pol’s Foundation’s Medical College. He is a certified Lead Auditor for ISO:9001-2008 with a Post Graduate Diploma in Medical Law and Ethics. He has vast experience in managing infertility problems in couples. He heading the research and quality control department at Welling Clinics.